Hand carved rondelle beads from translucent green Indian Emerald. These beads are on thin thread so we recommend restringing. 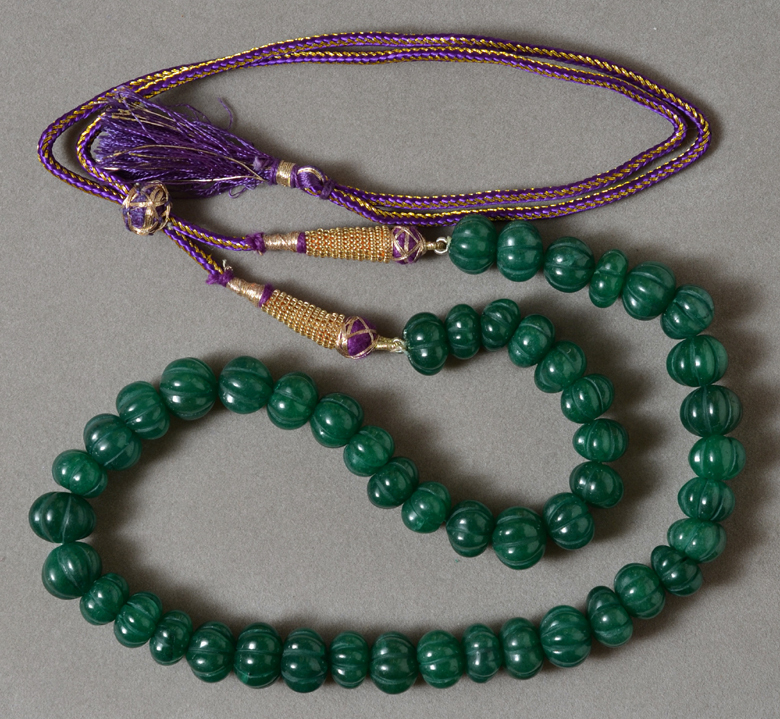 The beads are rubbed with dyed olive oil to enhance color.